While many of us wish we could hibernate through the winter, it is just wishful thinking while we’re out in the cold. However, for bears, including those of Wildlife Safari, this dream is their reality every winter! Now, this may not seem very special, after all, bears are well known for their hibernating habits. However, hibernation is actually a learned behavior, something they need to be taught, rather than a built in instinct. Hibernation is a learned behavior, something they need to be taught, rather than instinct. This means that when orphan bears end up in captivity, it can be difficult to teach them to hibernate. All the bears at Wildlife Safari hibernate during the winter. But we will focus on our four brown bears. There are several different subspecies of brown bear, distinguishable from black bears not by color but by the hump of muscle between the shoulders that makes brown bears such strong diggers. 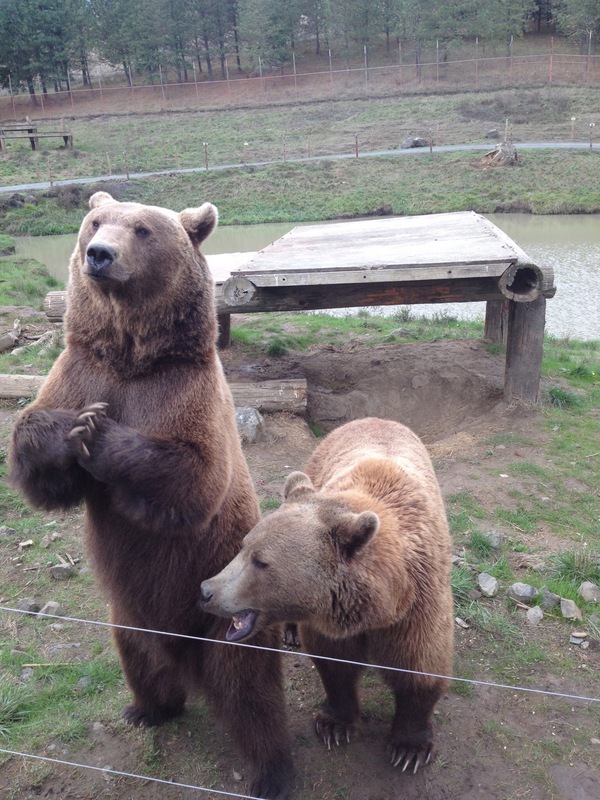 Our two boys (Mak and Oso) are Grizzly bears, and our girls (Claire and Russell) are Alaskan Coastal brown bears. Bears are cued to hibernate by changes in light, temperature and food availability. As it gets cold and dark, and food becomes scarce, bears will slow down and eventually build the den which will be their winter home. Keepers spend weeks gradually adjusting the bears’ diets to mimic food availability in the wild (decreasing yummy foods like fruits, and increasing less appealing vegetables). This change in diet also helps them get the fiber they need to block up their system as they won’t go to the bathroom until they emerge in the spring. While they all tend to go to sleep at around them same time, if one wakes up before the others, that will usually wake the rest. “The girls normally decide when it is time to wake up.” How do keepers know when they are ready to wake up for spring, you may ask? Well, its pretty clear: the girls will knock on the door to their yard, generally making quite a racket, to let their keepers know it’s time. We’re glad our bears hibernate as it has a variety of health benefits. If only humans could fix health problems by sleeping for months at a time! Their winter weight loss prevent obesity and related diseases, and they can also heal fairly serious injuries while sleeping. Female brown bears will give birth and nurse during this time as well! 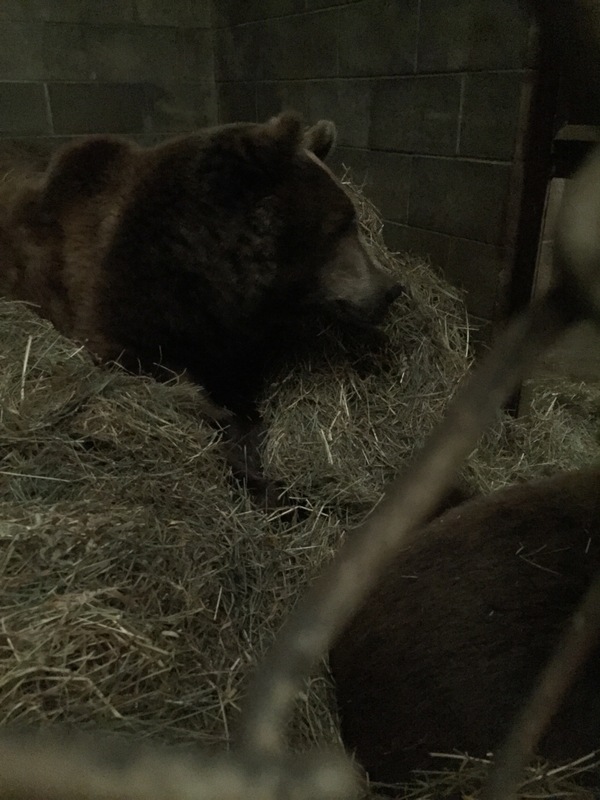 At Wildlife Safari, the Grizzly boys, Mak and Oso, will share their den space, snuggling up to each other. The Alaskan Coastal girls, Claire and Russell, have their own den rooms for one very simple reason… Russel hogs the bed. Once each has been given their pile of hay to bed down in, Russell will take all of it and build herself a giant bed – leaving her sister on the floor. However, keeping them separate means that Claire can sleep in comfort. 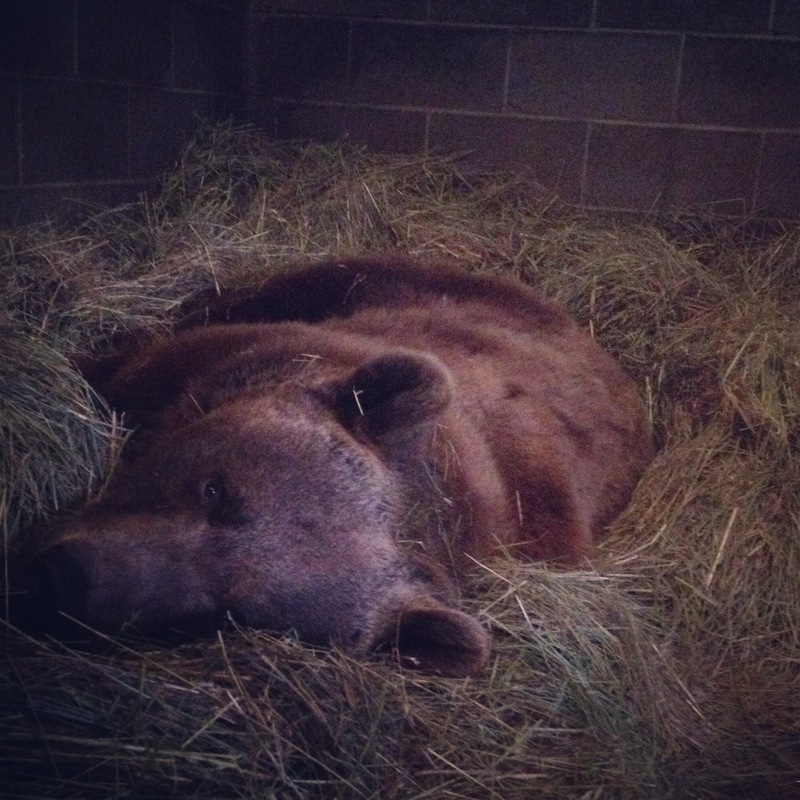 During the winter, guests can join the keepers in checking on the sleeping bears with our Hibernating Bear encounter. 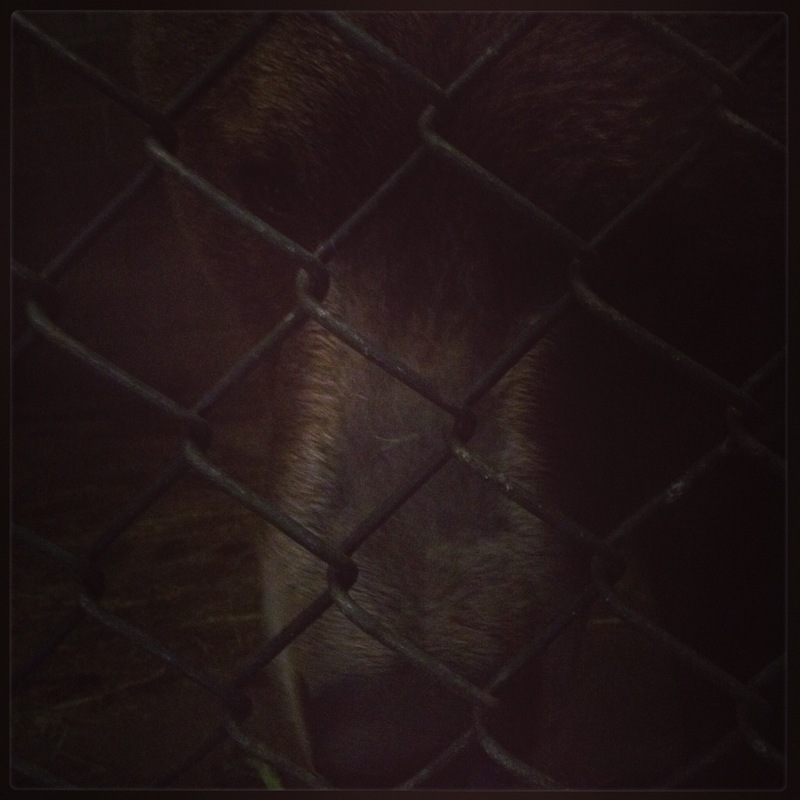 So if you’d like to meet our brown bears up close, you can have the rare opportunity of seeing hibernation in action!